You’ve hired your roofer and scheduled the day for them to replace your roof. You’re excited to have your roof off your plate and regain peace of mind about your home. But you’re a little nervous about how things will go. Not to worry! 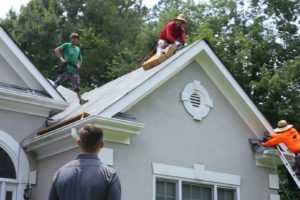 In this post, we’re going to walk you through your roof replacement day, so you know exactly what to expect when the crew arrives at your door. On the day of your roof replacement, the materials, dump trailer, and crew will arrive first thing in the morning. Arrival times will change based on the time of year and the local Athens area weather. Your DeLaurier Roofing and Renovation Team Member will be present to check the shipment and make sure the crew has anything they need. You can be present for the roof replacement day if you would like, but it isn’t necessary. Please have your cars moved from the driveway to make room for the dump trailer as well as to ensure your vehicle doesn’t wind up getting blocked in and shingles or nails don’t accidentally end up around your wheels. All shingles and nails will be removed and disposed of in the dump trailer on roof replacement day. The old felt may be left on to protect the decking underneath. If our crew scrapes all the old felt off, it could lead to splinters poking holes through your new underlayment. 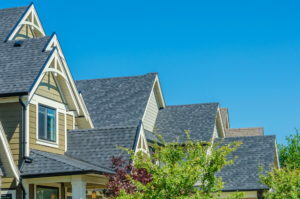 DeLaurier Roofing and Renovation follow all manufacturer guidelines to ensure your warranty is upheld. 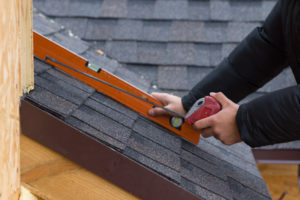 DeLaurier Roofing and Renovation wants to do everything we can to ensure the safety of your property; however, debris will be falling from the roof. We will use tarps to catch falling shingles. 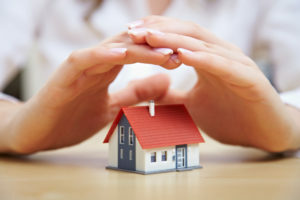 But if customers are concerned about a specific part of their property being damaged by the roofing repairs, they shouldn’t hesitate to contact one of our DRR team members to make them aware of any special circumstances. 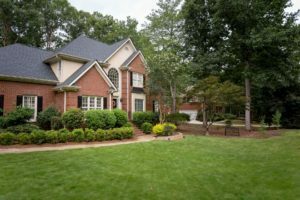 If you would like any additional work done or adjusted on your Athens or Watkinsville area roof, we are always happy to complete that work for you. Customers must fill out a DeLaurier Roofing and Renovation Change Order Contract for all agreed upon roofing changes. Contract adjustments may result in a price change for services rendered. 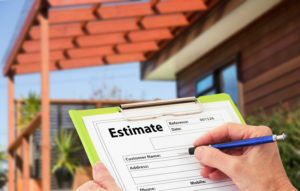 Once all roofing work is complete, we like to do a walk-around in order to address any concerns you may have, finalize the invoice, and talk you through payment options or collect final payment. Customers will receive invoices via email. And we accept all forms of payment. It is important to note that credit card payments will be subject to an additional small percentage processing fee. And that’s it! Enjoy your new roof, and don’t forget to leave a review on Google or Facebook if you were pleased with the work.